Legislative races for the Democratic nomination in District 10 are shaping up in unusual ways as the deadline for Maryland candidates to file for office draws near. In the Senate race, Rob Johnson, a director and attorney with the Prince George’s County Public School system, is taking on his longtime mentor, Sen. Delores Kelley. During the 2014 gubernatorial campaign, Johnson ran for the House of Delegates in the Primary Election as part of Kelley’s team. He placed fifth, capturing 9.5 percent of the vote. While he originally planned to run a House seat this time around, Johnson said community members encouraged him to throw in his hat for the Senate race. 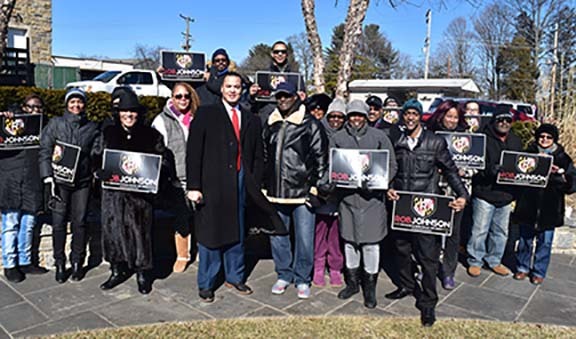 He announced his candidacy at the Randallstown Gateway Park on Feb. 3 before a small but enthusiastic crowd of supporters. His goal is to ensure state government works effectively and efficiently for families, schools and the community, Johnson added. First elected to the Senate in 1994 after serving four years in the House of Delegates, Kelley has filed to run for a sixth term in the Senate. Currently serving as vice chair of the Judicial Proceedings Committee, she introduced some 28 bills—many of them related to juvenile justice, parole reform and criminal law. Kelley is introducing a bill that would require a development of 11 or more homes to be built by the same builder and who must provide a purchaser with written information on energy-efficient options, and legislation that would require the Department of Labor, Licensing, and Regulation to establish procedures regarding changes to information that come to a forecloser purchaser’s attention and that must be submitted to the Foreclosed Property Registry within a certain time period. 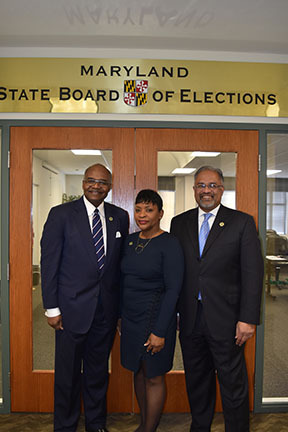 In the contest for House of Delegates, Delegates Ben Brooks, Jay Jalisi and Adrienne Jones have filed for re-election and will run as a team. The incumbents are currently part of the 2018 session of the Maryland General Assembly in Annapolis. Among the bills Brooks is sponsoring are those related to alcohol licenses, bills that would establish a low-cost automobile insurance program for Baltimore City and Baltimore County residents; and that would modify taxes on military retirement income in certain situations. In his first term, Brooks is a member of the Economic Matters Committee and serves as the House of Delegates’ deputy majority whip. Jones, a delegate since 1997 and speaker pro team since 2003, chairs the capital budget subcommittee on the Appropriations Committee. 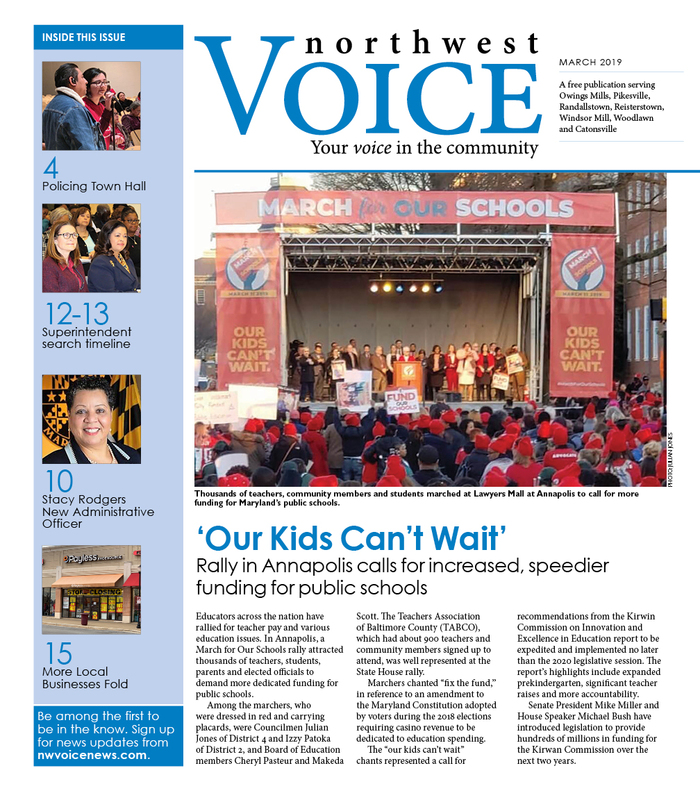 She is pushing for legislation that would require the Governor to budget funds to increase the Child Care Subsidy Program reimbursement rates, establish an endowed University of Maryland System scholarship program for low-income residents, and improve the application process for Maryland College Investment Plan. Legislation that Jalisi is introducing this year includes bills that would give a property tax credit for people 70 years old and older, limit the amount of a deposit that a gas and electric provider could require of a person 70 and older; and eliminate credit history ratings in vehicle insurance. Jalisi is also a first-term lawmaker and serves as a member of the Environment and Transportation Committee. Running for the Republican nomination are two former Democratic candidates. Michael Brown Sr. has filed to run for the House of Delegates and Stephanie Boston for the Senate. After losing in the Democratic Primary in 2014, Brown and Boston ran as write-in candidates in the General Election. The deadline for candidates for the 2018 gubernatorial elections is 9 p.m. on Tuesday, Feb. 27. Visit http://elections.state.md.us for details.